Ailsa Stewart is a registered nurse and has held a variety of roles at Whanganui Hospital including Assistant Principal Nurse (Midwifery/Psychiatric), eventually becoming the first person to be elected onto the Whanganui District Health Board in 2001 and Wanganui District Council at the same time. However, after fifty-five years and supporting over 250 people in achieving their national qualifications later, this Whanganui health, education and training advocate is finally retiring. Ms Stewart’s CV is exceptional having worked across health, education and training, and has contributed to her community in so many ways. She has even received the Queen’s Service Order for valuable voluntary service to the community. But for the last 17 years, Ms Stewart spent more time passing on her knowledge to others working across health and dementia care. 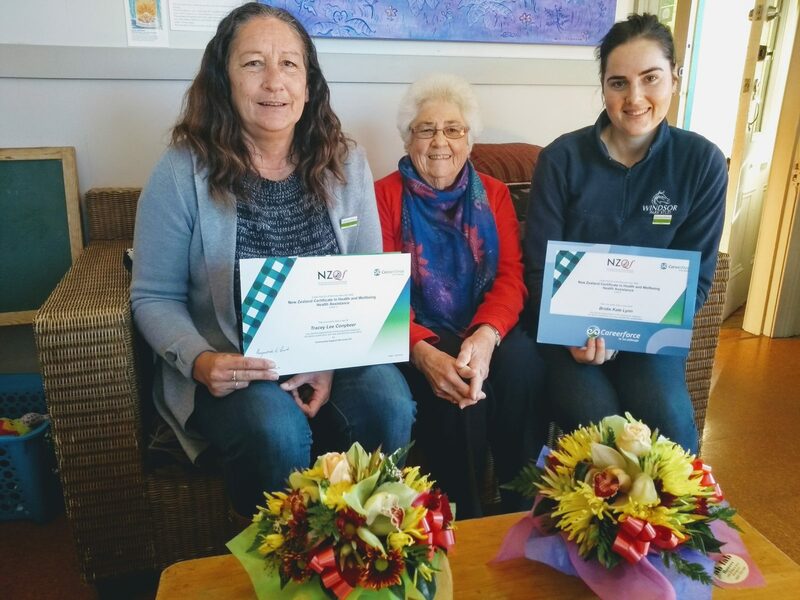 At a time when training and qualifications were not given much emphasis, she advocated for them, working with rest homes in Whanganui to upskill their caregivers and healthcare assistants. She would also travel to various parts of the North Island as a Careerforce-registered mobile assessor. Ms Stewart has also inspired and encouraged trainees to continue learning. Bridie Lynn, a former healthcare assistant, is one of the last trainees Ms Stewart would help complete her qualification, a New Zealand Certificate in Health and Wellbeing (Level 3) Health Care Assistance, through Careerforce. She is now studying to become a registered nurse. “She’s a very knowledgeable person. It was amazing to learn from all her experiences. I feel privileged to have been guided by her. She is one of the people to encourage me into nursing,” Ms Lynn adds. Rick Sloman, Manager of Assessment and Moderation Practice at Careerforce, thanks Ms Stewart and adds that having an exemplary assessor like her is vital in ensuring a high standard of qualification completion, and ultimately, improves the care and support provided to clients.